While the Continental GT coupe was an instant success, the limousine that was developed from this platform has had a lower profile thus far in the UK. Why this is remains open to question. Anyone who has had the privilege of driving, or being driven in, the Flying Spur will realise that this is an incredible car for the money and features more 'proper' Bentley ingredients than at first seem apparent. The best thing about its low key introduction is that used examples are now starting to appear at very tempting prices. For about six month after its introduction, the Bentley Continental GT was the must-have car but fashions change, the fickle moved on to the Aston Vantage and we were left with a car that embodied some solid Bentley virtues. 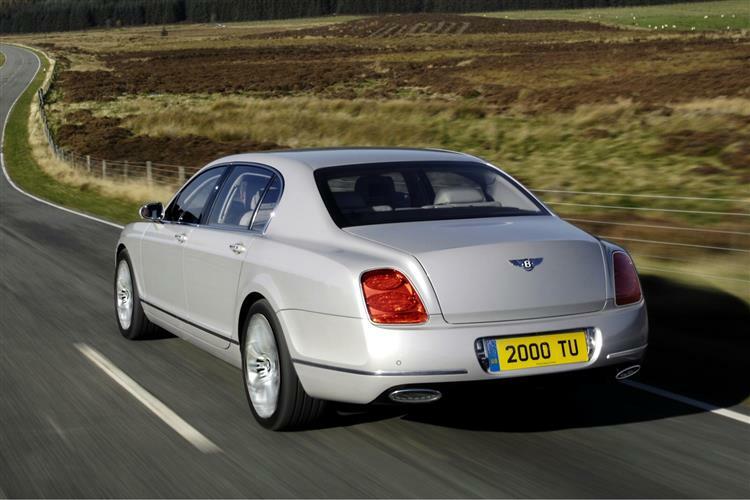 The longer wheelbase Continental Flying Spur debuted in June 2005, the badge harking back to a 1957 model hailed at the time as one of the most powerful and elegant saloons ever created. Much has changed at Bentley in the intervening years, the most momentous event being the company's immersion into the Volkswagen empire. 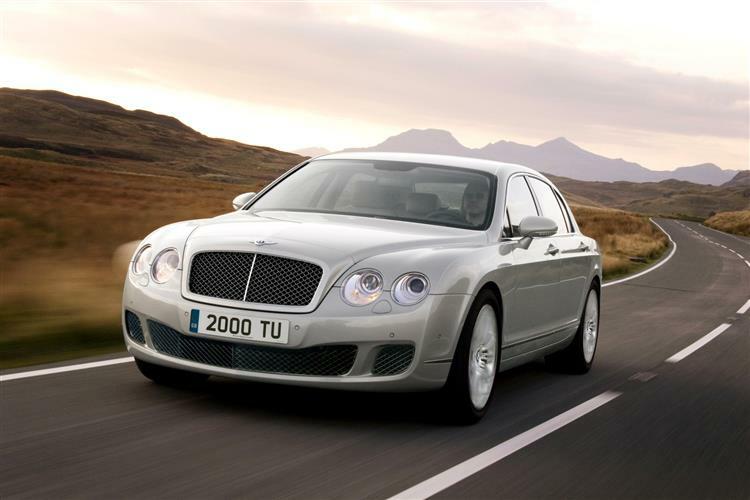 Although Bentley would like to stress otherwise, much of the design and engineering of the contemporary Flying Spur is common to other Volkswagen Group products. There are elements of Phaeton DNA about the cabin and the W12 engine is shared - albeit less a turbocharger - with the range-topping Audi A8 and Phaeton models. It still looked good value when compared to the range-topping Mercedes S-Class and BMW 7 Series models though. 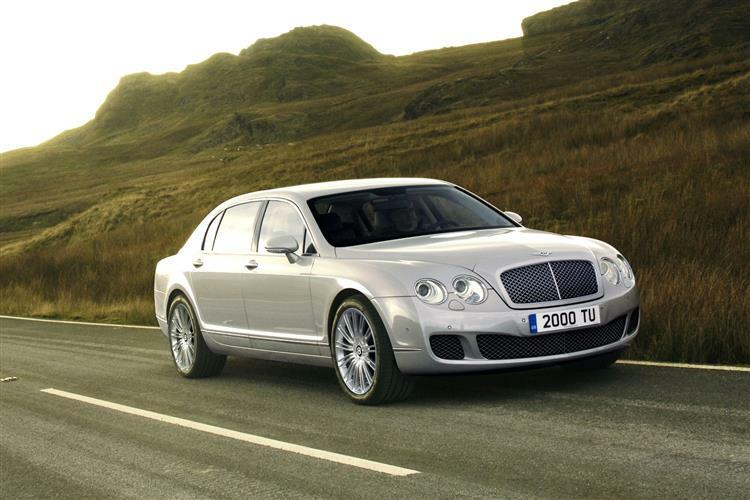 A number of incremental changes were made for the 2007 model year Flying Spur. The standard-fit satellite navigation system was upgraded to a DVD-based system and incorporated post code-entry programming. The Flying Spur also featured an integrated Bluetooth remote SIM access profile (rSAP) telephone system as standard. A revised 19-inch, 5-spoke alloy wheel design became standard fitment, enhancing the car's sporting credentials. For customers who wanted to go still further, a Mulliner Driving Specification package was announced that comprised 20-inch 2-piece, 7-spoke alloy sports wheels with 275/35 R20 sport tyres, drilled alloy sports foot pedals and footrest, a sporting gear lever finished in knurled chrome and hide, a diamond quilted and indented hide to seat facings, front and rear doors, an embroidered 'Bentley' marque emblem on the head rests, indented hide headlining and dark-stained Burr Walnut or Piano Black veneer fascia trims. Powered by a 6.0-litre twin turbocharged W12 engine good for 552bhp, with four wheel drive and a paddle operated gearbox, the Continental Flying Spur's gearbox differs from that in the GT coupe insofar as it is happier surfing along on the engine's vast reserves of torque rather than flipping down a ratio or two when the throttle pedal is pressed. The six-speed ZF transmission can be left in full auto mode or can be manipulated manually with either the stubby gear lever or the wheel-mounted paddles. The trouble with the paddle shift is that there seems to be so much torque available in so many gears that it's easy to get slightly lost in the box, gratuitously changing gear in an attempt to catch the car out. It rarely happens. You'd be forgiven for thinking that the commonality of components with some Volkswagen group products would detract from the bespoke feel of the Flying Spur, but even when compared with the £145,000 Mercedes S65 AMG, the Bentley feels by far the more special product. The perception of quality is just leagues ahead of the big Benz, the Bentley not only acing the Mercedes in terms of ergonomics, but also making so much of its operation delightful and surprising. Sit inside the two cars and you'd never guess the Bentley was a whole Volkswagen Touareg V6 less in price. The cabin is probably the best place to take in the Continental Flying Spur as the exterior isn't particularly striking. Rather than being an afterthought, the saloon was designed alongside the coupe model and a full foot has been grafted into the wheelbase to ensure rear seat occupants never run the risk of deep vein thrombosis. The lines are dignified without being notably distinguished although the rear end looks a little bland. All too often, prestige cars often work out less reliable than mainstream fare. 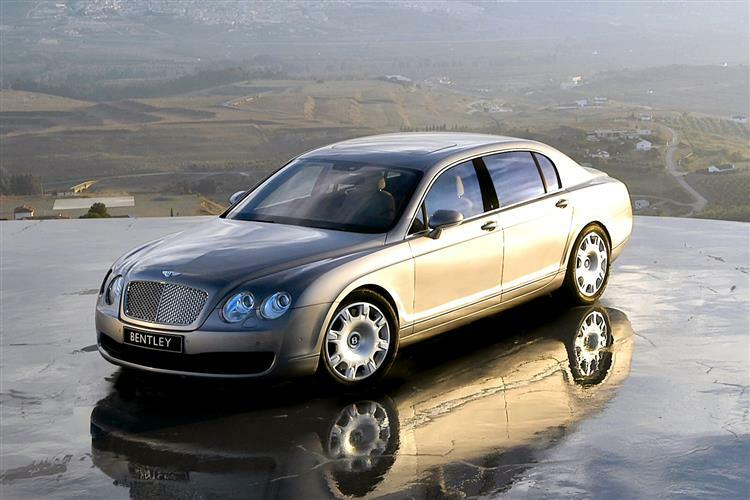 The Bentley Continental Flying Spur is the exception. Most of the oily bits have been tried and tested elsewhere and have yet to throw up any serious issues, while the interior build quality is virtually without peer. The tender loving care that Bentley owners lavish on their cars means that the Flying Spur is a solid used buy. Strangely, one of the few 'faults' that has been mentioned is the fact that darker coloured paint finishes can go rather 'swirly' through over polishing! Also look for alloy wheels that have been kerbed and pay attention to differential tyre wear on all four wheels. 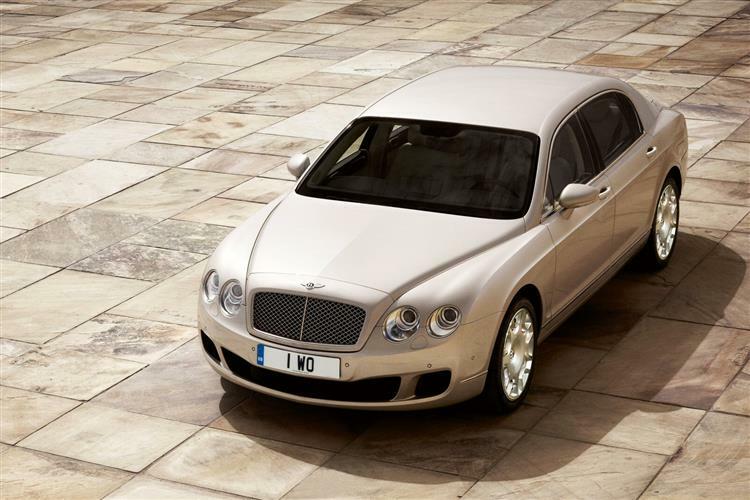 (approx based on a 2005 Continental Flying Spur excluding VAT) Parts for the Flying Spur vary in price wildly. Those which are common to Volkswagen group products like the Phaeton aren't horrifically expensive with a starter motor retailing at £159. The Bentley-specific bits are eye-wateringly dear though. A replacement windscreen with rain sensor is £1,285 while a headlamp unit is £925. Some may say the Flying Spur lacks the aggression of the big hitting Germans, instead majoring on discretion and understatement but some of the detailing could have been a tad sharper. What are objectively undeniable are the aerodynamic benefits of that slippery body shape. A rear diffuser zeroes lift at the rear, maintaining stability at the high speeds the Flying Spur is capable of. Unlike many powerful saloons, the Bentley is not limited to a 155mph maximum and if you can find the right conditions, it will keep accelerating until 195mph shows on the analogue display panel. Although flogging it off the line may seem rather uncouth, the Flying Spur will notch the sprint to 60mph in 4.9 seconds and will hit 100mph in 11 seconds. That's Porsche 911 Carrera S quick from a car that tips the scales at nearly two and a half tonnes. Getting a car of this class and quality for less than £100,000 seems almost unjust. Few cars have genuine half million mile potential but this is clearly one of them. 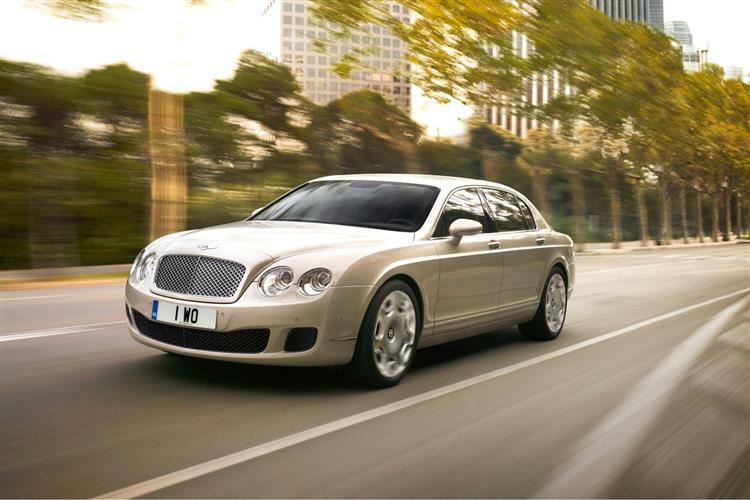 Looked after correctly, the Continental Flying Spur will serve up years of discreet luxury driving. One suspects that in playing the styling rather low key, Bentley have wisely built durability into the car's lines as well as its engineering. 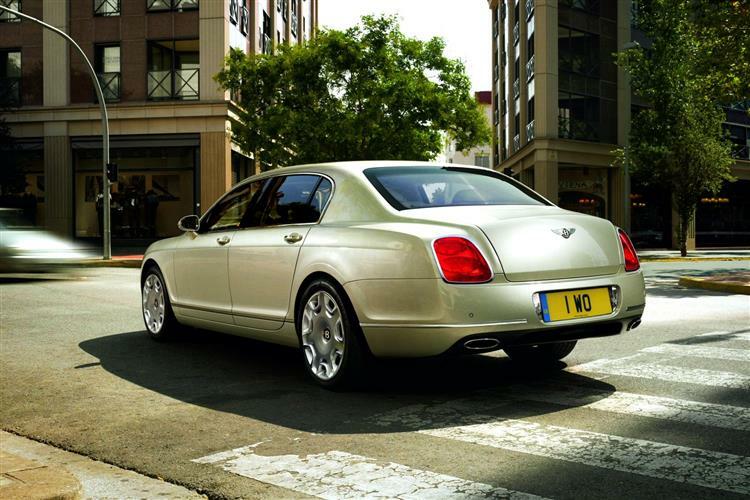 There may be more extrovert claims on your cash but few will last the long run quite as well as this Bentley.